*Akatsuki Daydreams*: Lucy - I'm home!!! The humor is absolutely timeless. 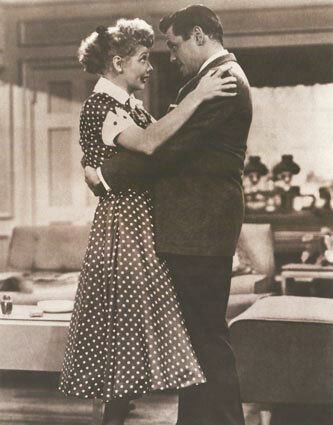 All four main actors, Lucy, Desi, Vivian, and William, have incredible comedic timing that I have only consistently found in The Cosby Show and The Golden Girls (thus why I love them too). 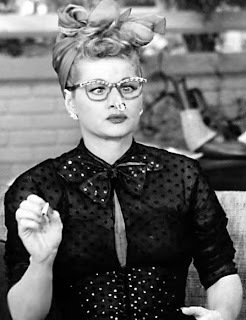 But I also Love the Style of Lucille Esmeralda McGillicuddy Ricardo aka Lucy. Lucy often had on black cigarette pants or capris. These would be paired with a checkered or plaid top. Sometimes it would be with a silk button down and over it would be a vest. Later in the series she would wear a pretty, patterned jacket-dress piece with a keyhole front over a top and the pants. Usually she would wear her shirt and pants outfits with flats and cluster earrings, oversized pearls or a ribbon in her hair. Sometimes she would be wearing a dress around the house. It often was a short sleeved shirt dress. The dress would either be solid color with a light collar or patterned. The pattern was often polka dots! When she would go out, she was mainly seen in a gorgeous blue chiffon dress. Normally with dresses she would wear the same type of earrings and hair accessories. However, instead of flats, she would wear close toed kitten heels with a slingback. She never really wore necklaces when she wanted to be fancy. Sometimes she would wear her fur stole and dangle earrings. I was starting to run out of episodes on Youtube so I decided to make some ILL inspired outfits!!! 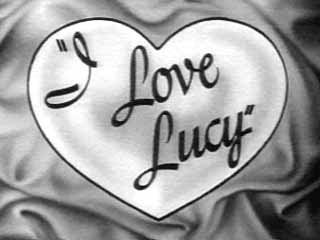 One of the Lucy inspired outfits is a checkered shirt and high waisted black Capri pants. 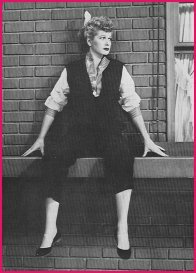 Lucy often wore her Capri pants over the waist with the shirt tucked in. That's why the shirt is hidden under the pants a bit in the polyvore image. Under it she wore a top so I put a blue cami underneath the dress. The patterned leggings were inspired from the episode where Lucy buys Ethel a birthday present from Fred. She buys these ADORABLE patterned pants and Ethel thinks that they are ridiculous (she wanted a toaster - lol). Sadly, because it is in black and white I don't know what color they are so I am sticking with black and white patterned leggings. The blue dress is similar to the color of her fancy dress. I paired it with ballet flats and cluster earrings. 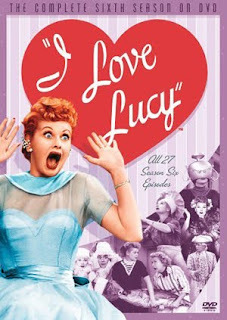 Lucy was also often seen with clutch purses or small hand bags. 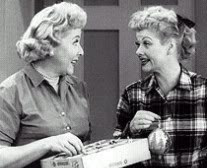 Lucy Ricardo would not have been able to afford the cute, yellow Chanel clutch (well...maybe after Ricky came back from Hollywood) but Lucille Ball sure would have! It is not a shirt dress but it is in a 50s style with a knee length hem and a bow front. The polkadot dress is 50s inspired too. 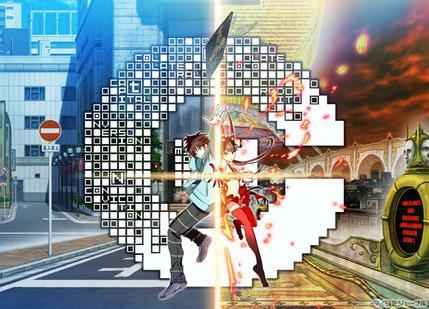 The heart keyhole opening reminds me of Lucy's jacket-dress again and I just love that belt. Do you Love Lucy too?